Kuch bhi likhun isme, lagta sab kuch bakwas hai. Tu jo sangh nahi, lagti Zindagi bekaar hai. Mere dil ki dhadhkane bhi ab dhadakti kaha hai. Kora sa yeh mera tann, sulagta kahan hai. Kora sa yeh mann, bahaar kahan hai. Kori si yeh kavita, mera Gulzar kahan hai? I love dark chocolate and so I knew I had to try this one. 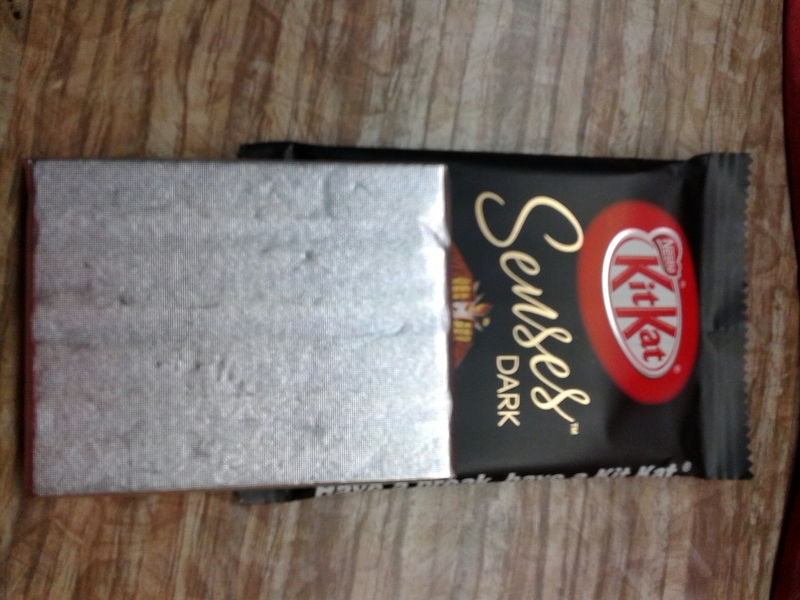 I had earlier tried kitkat dark and felt it was okay! This four slab bar costed Rs. 50 . The pack states it’s made with slow churned chocolate to give a rich taste. 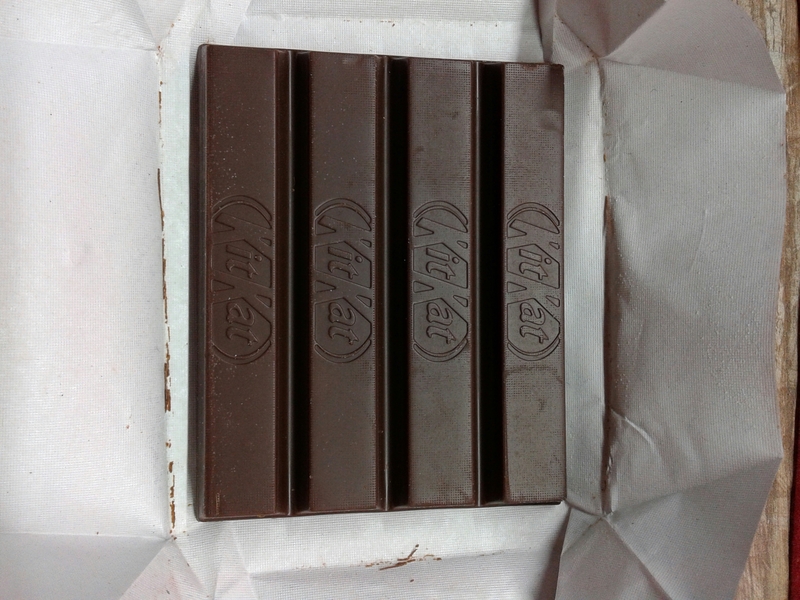 Kitkat Senses is smooth on touch and slight bitter at taste. 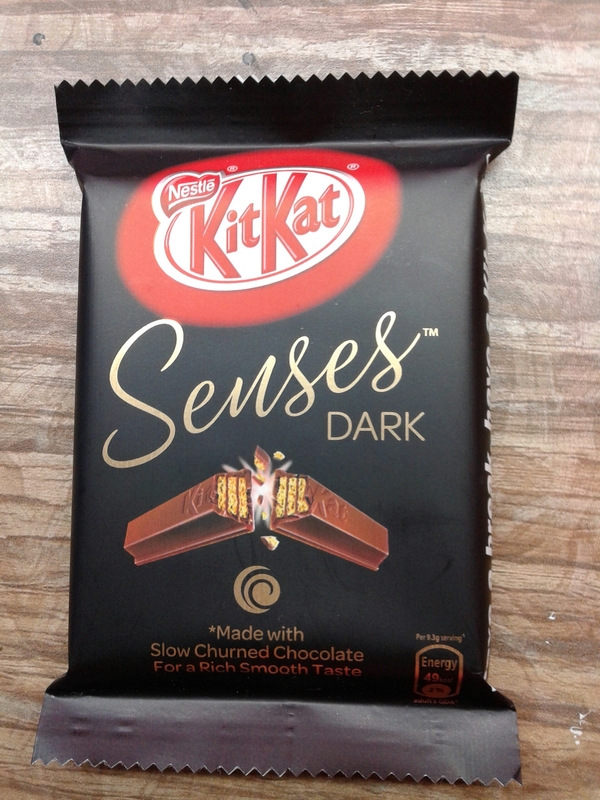 Only difference between kitkat dark and senses dark is, the latter is smoother than the first. Not everyone likes dark chocolates, on top of it dark chocolate with wafer. So, unless you enjoy dark chocolate, enjoy the slightly bitter taste don’t spend money on this one. Cover Launch of ‘Dream with your eyes open’. The superstar of Bollywood’s first family, Ranbir Kapoor, launches the Book Cover of India’s early first-generation entrepreneurs, Ronnie Screwvala. Ronnie Screwvala pens his entrepreneurial journey – Dream With Your Eyes Open and announces the commencement of online bookings. Ronnie Screwvala’s entrepreneurial journey is an inspiration, to say the least. Founder of one of India’s largest media & entertainment conglomerates, Ronnie Screwvala has penned a book on his journey, from Cable TV to toothbrushes manufacturing and from Theatre to Media and Entertainment, Dream with your Eyes Open, which aims to champion entrepreneurship in the country. Bollywood’s latest entry to the superstar brigade, Ranbir Kapoor, unveiled the cover of Screwvala’s book at the event held in the city today. “Ronnie is an inspiration for everyone who dare to make their dreams come true. His conviction in an out-of-the-box film like Barfi made me realize that when belief meets innovation, it creates magic! I am delighted to launch the cover of his book and look forward to its release. I will definitely be buying the first day, first copy”, said Ranbir Kapoor at the event. 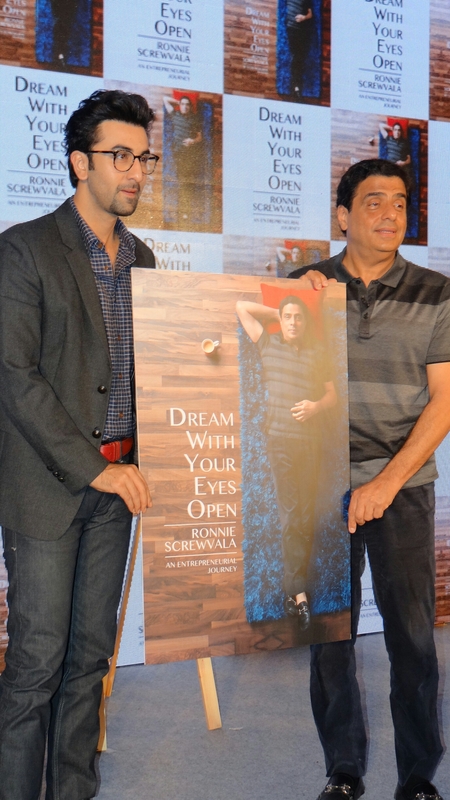 Speaking about this book, Ronnie Screwvala said, “Dream With Your Eyes Open” shares failures and triumphs, thoughts and anecdotes of my journey. It details out my vast experiences and myriad lessons learned from more than two decades of building some successful (and some not-so-successful) businesses. 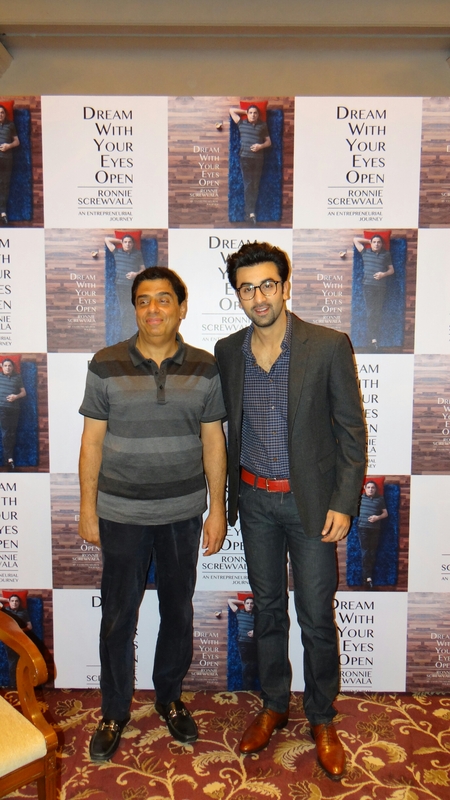 At the event, Ronnie Screwvala also announced that the commencement of the online bookings for Dream With Your Eyes Open, with the book slated to hit the stands on 2nd April 2015. Demonstrating an innate ability to merge creativity with commerce, Ronnie Screwvala has been termed Jack Warner of India by Newsweek, Esquire rated him one of the 75 most influential people of the 21st Century and Fortune as Asia’s 25 most powerful. He is credited with pioneering Cable TV in India, building one of the largest toothbrush manufacturing operations – before founding UTV, a media and entertainment conglomerate spanning Television, Digital, Mobile, Broadcasting, Games and Motion Pictures, which he divested to The Walt Disney Company in 2012. Onto his second innings, Ronnie is driven by his interest in championing Entrepreneurship in India, and is focused on building his next set of ground up businesses in high growth and impact sectors. His more recent commitment to being a first mover in Sports has made him lend his support to Kabaddi and Football. He is passionate about social welfare and with his wife Zarina and through their Swades Foundation has given single-minded focus to empowering one million lives in rural India every 5-6 years through a unique 360-degree model. 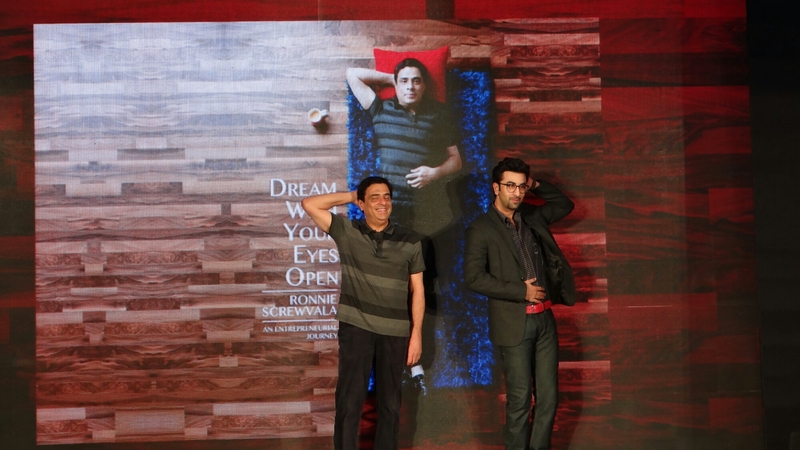 Watch Ronnie Screwvala talk about Dream with your eyes open here . Pre-book the book on Flipkart .